Most of these zine are from my EBABZ haul. 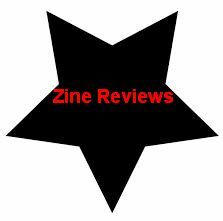 I have a lot more zines that have occupied my time recently but did not want to overwhelm anyone with to many reviews. I will do more at the end of the month. No Gods Not Mattresses #26 : Enola's train travels get stuck in my head. You root for her and her pals to get safely to the next point in their journey with every new page. She also drops some Strawberry Switchblade info that delighted me in this issue. Her zines are always a mix of cut and paste, doodles and random backgrounds. Hefty read - very wordy and full of delight. Dreams of Donuts #22: Get it for the artwork alone. I get lost in Heather's art and there is so much cool imagery on every page. Take a punk rock comic trip as Heather tours with her friend's band, stays in hotels and makes a stop at Hollywood Forever Cemetery - fun times. Plus I get a shout out - I saw my name in the thank you credits and I think I blushed, let out a happy squeak and jumped all at the same time! You can get ordering info on Heather's blog. Re-Minders #7: Clean art - almost like new age collage. Also the writing reminds me of mantras that I hear in kundalini yoga classes. Spiritual without being super woo-woo. 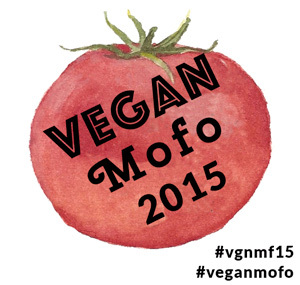 You can get Rani Goel's zines here. Palace of Ashes: A comic about Emmit Watson and his restoration of the San Francisco Columbarium. I like anything death culture so this is a cool little read. I also think that a person taking on such a big project is pretty brave! This has been on my 'get on BART and go list' for awhile. I hope 2016 will be the year I get to check it out! Arcane Angles #3: A nice lengthy piece on Santa Muerte is in this issue - which is what drew me to it. Also a lot of rad death content! 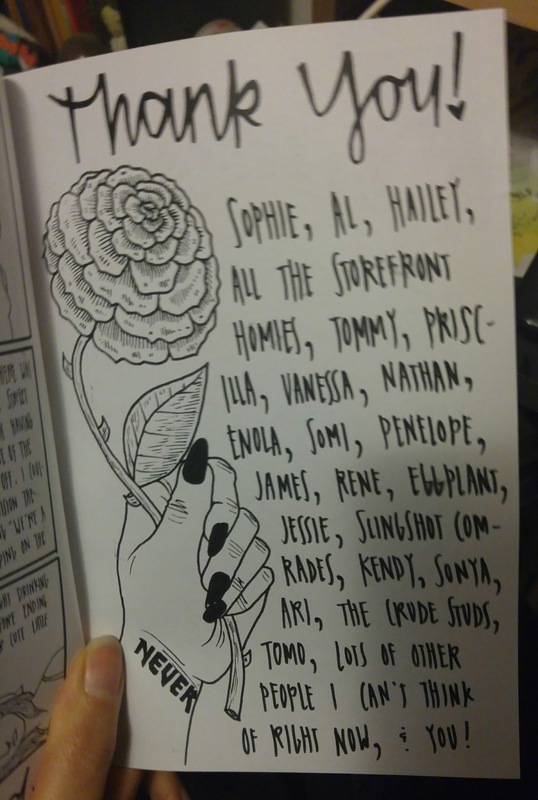 Also I see some of my zine pals getting a shout out/review in the zine which is nice. 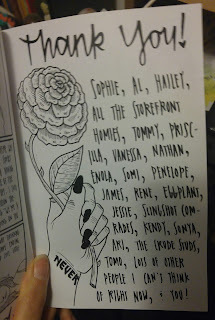 This zine: layout, content and all reminds me of the zines I got into in the 90s and are a rare breed. Some of the stories border on college essay territory but they are well thought out and researched. Oooh I love travel zine so No Gods Not Mattresses and Dreams of Donuts sound cool. Cool Kendy, thanks for doing reviews!